In 2008 we added production of propellers to our range of services. 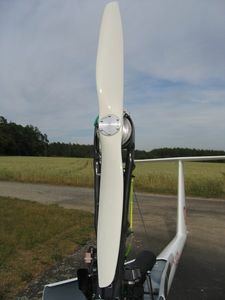 The propeller with the BM type designation is a fixed pitch propeller constructed from glass composites suited for operation in sailplanes with retractable power-plants. The design was optimized for take-off and climb. The structure consists of uni-directional layers carrying the centrifugal loads and 45° layers giving torsion stiffness and strength of the propeller shell. 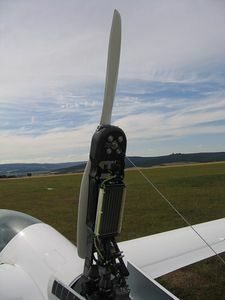 The BM variant combines reduced noise emissions with an improved thrust level and was designed especially for propulsion of our gliders.